Tomorrow, January 21st (Wednesday) we will go to the Equestrian Show in Caballerizas Reales. If you are near Cordoba you should not miss it!! You will have the chance to see the world famous Andalusian Horses at their best. 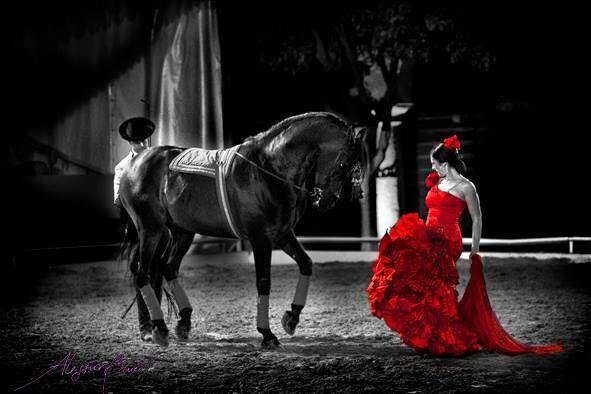 The show combines light, music and dance (from both horses and flamenco artists) in a wonderful spectacle. The price of the tickets is 13€/person, and the meeting point is the Burger King in front of Mezquita at 19:30 (be puctual as the show does not wait) ;). It is very important to write me in order to get the tickets as I have to get them in advance.